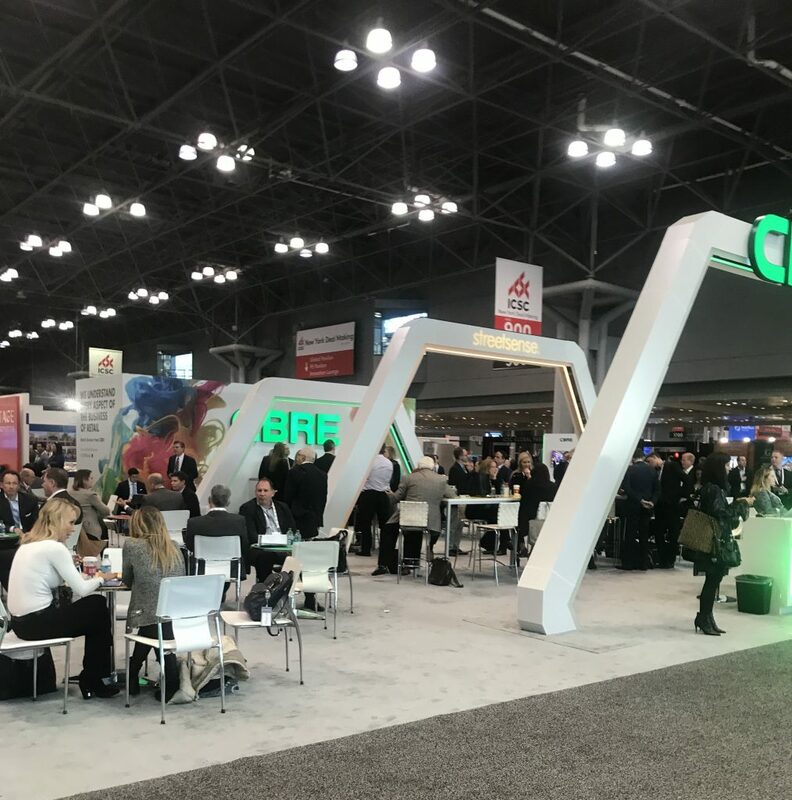 After spending 3 days at the International Council of Shopping Centers (ICSC)’s 2nd largest show in the world in New York City last week and having a week to dig out from the hundreds of emails, process the potential for new business, and follow up on last week’s meetings, I thought I would share some insight from the show and overall where the industry seems to be today. There were many bright spots curating throughout the show, at a formal dinner I hosted, and all around the cocktail parties. These include the seemingly inevitable passage of some portion of the first tax reform in 30 years in the US, the early results of Black Friday and the overall optimism in the market. As I write this blog, I’m reading an article about retail sales jumping in the month of November…this is good news. I think something near a “settling in” is occurring in the industry, an understanding that the way people shop and how people live has changed, not ‘is changing’. No longer is news of a regional mall anchor’s closure triggering unnecessary panic or downward speculation, nor is the news about a 10-year-old lifestyle center going through a redevelopment and repurposing surprising…To me it’s more exciting and here is why; in a free market industry such as real estate no developer, broker, or tenant dictates how the market trades…only the market can. And the “market” is the consumer. The ‘changes” that are occurring are being responded to by the market with intuitive thinking and outside-the-box ideas. For the first time in the internet era, we are starting to ‘catch up’ on technology and instead of chasing the change are now building on this expectation in all aspects of our industry. I hosted a dinner, had dozens of meetings, hopped around cocktail parties, shook a lot of hands, reconnected with old friends, and spent time with current ones….This show has always been a tremendous opportunity to reach the masses in a few short days, as long as you can handle the 18 hour days!